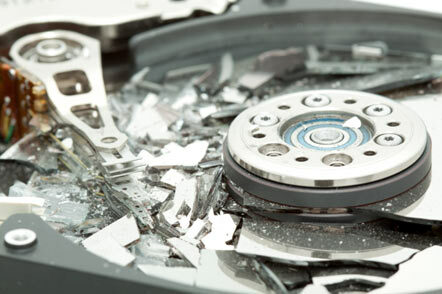 The continuing proliferation of new drive types and the ever-growing problem of malware were among the biggest trends impacting the data recovery industry in 2013, according to year-end information from data recovery and e-disclosure products and services provider Kroll Ontrack. The trends further underscore the need for businesses and consumers to understand how evolving technology affects their ability to protect and recover critical data. As prices for SSD and other flash drives continue to decrease and align more closely with hard drive prices, nearly 10 percent of Kroll Ontrack recoveries are now flash media. Beyond a greater percentage of SSD and other flash-based recoveries, Ontrack Data Recovery engineers grappled with new drive formats, such as hybrid drives, which contain both SSD and spinning drive components. Hybrid drives promote operation optimisation and tiering, storing more frequently accessed hot data on the faster SSD and less accessed data on the slower spinning portion of the drive or utilise the flash-based portion as a cache. SSD and flash weren’t the only storage media on the cutting edge in 2013. Leading hard drive manufacturers innovated to pack more capacity into drives. For example, Hitachi built helium-filled drives. With less dense air, hard drive heads fly more freely with less resistance, giving Hitachi the ability to put their platters closer together and thus pack more platters into their drives. In contrast, Seagate is increasing hard drive capacity through shingled magnetic recording (SMR) technology, which stores data bits in overlapping versus linear patterns. In 2013, the CryptoLocker virus was born, hijacking computers and networks in an exchange for ransom. CryptoLocker is a Trojan horse malware, a form of ransomware, targeting computers running Windows®. The attack usually comes disguised as a legitimate email attachment. When activated, the malware encrypts certain types of files with the private key stored only on the malware’s control servers and displays a message which suggests the data can be decrypted for payment by a certain deadline. If the deadline passes, the warning message threatens that the private key will be deleted and data is unrecoverable. However, virus victims have been able to unlock their files after the initial time is up, but the cost has been incrementally more than the original ransom requested. While customers turned to Kroll Ontrack to reverse the impact of viruses like CryptoLocker, data storage companies proactively looked to Kroll Ontrack in 2013 to do the reverse – test, validate and certify the effectiveness of the encryption integrated into storage products to ensure no one can get unauthorised access to the data. For data protection, encryption is a must and thus becoming more commonplace. However, encryption presents an additional layer of recovery complexity because the encryption key is required. With software encrypted drives, such as those using Microsoft BitLocker, Check Point PointSec, McAfee Safeboot and others, the user holds the key and can supply it to the data recovery company when needed. This is in contrast to hardware encrypted drives, such as Secure Encrypted Drives (SED) or Full Disk Encryption (FDE), where the key is built right into the drive. If a hardware encrypted drive becomes corrupted or malfunctions due to physical, logical or electrical issues, the key is essentially locked in the drive, requiring data recovery engineers to bypass the failure to get the drive working and then decrypt the data as part of reading the drive. For these reasons, Kroll Ontrack is focusing more of its research and development efforts towards dealing with encrypted data more efficiently. In 2013, Kroll Ontrack also saw a continued increase in the number of users taking it upon themselves to recover data. In fact, more than 10 per cent of the time, Kroll Ontrack saw drives that showed signs of data access attempts, which can hinder recovery efforts. Kroll Ontrack provides technology-driven services and software to help legal, corporate and government entities as well as consumers manage, recover, search, analyse and produce data efficiently and cost-effectively. In addition to its award-winning suite of software, Kroll Ontrack provides data recovery, data destruction, electronic discovery and document review services. For more information about Kroll Ontrack and its offerings please visit: www.krollontrack.co.uk or follow @KrollOntrackUK on Twitter.